Medical Science has spent billions on research to find a cure for cancer! THE TRUTH IS THERE IS AN ANSWER TO CANCER! Yes, the cancer mystery has been demystified. Many thousands of people around the globe are living proof that proper nutrition is the key! But how could it be that simple? Why is this not making news headlines? Good living and proper nutrition cannot make anyone rich! The drug companies are making squillions in their efforts to research and find a breakthrough cure. “If the public realised that they could prevent & eliminate cancer through simple dietary changes, there would be no need for additional dollars to fund research and after spending all this money, more people are dying of cancer than before they spend that $200 billion! Are we so naïve as to believe that these researchers are really looking for a cure? Remember that once a cure is found they immediately lose their research dollars, jobs and income. Dr Joel Fuhrman, MD and author of “Disease proof your child” made the statement that the average parent is feeding their child a diet style that has to result in them getting cancer as adults, as 90% of their caloric intake is based on cheese , butter, oil, sugar, and white flour. The Gerson therapy being used in clinics all across the globe! Fresh vegetable Juices and raw foods curing the incurable! its really criminal that this information is being kept from the general public! Phillip Day has outstanding books on healing with nutrtion. Check Phillip Day resource page to learn more. His research has led him to introducing many cancer sufferers to Amygdalin (B17) supplements as a major player in the war on cancer naturally. There is an abundance of documented evidence and research on people the world over, healing themselves using nutitional therapies. Cancer, arthritis,diabetes, heart disease and other chronic illnesses have been successfully treated by allowing the cells to detoxify and subsequently delivering nutrients to the cells of the body with wholesome life-giving foods. Your diet has to be predominately healthy food if you expect to be healthy, and both processed food and animal products do not contain the antioxidant nutrients. Fruits, Vegetables, seeds & nuts, beans & legumes. It’s a fact, people on high dairy diets generally do not have strong bones!! Cow’s milk and cow’s milk products have a heightened degree of respect in this society, which is largely due to a very successful advertising campaign. Alarmingly, westerners have such high rates of Osteoporosis! Not only have we become sedentary, but we generally consume a highly processed, high salt, and high animal protein diet. Study after study has found that the more animal protein you eat, the more calcium you lose. Researchers, who conducted a recent survey of diet and hip fractures in 33 countries, said they found “an absolutely phenomenal correlation” between the percentage of plant foods in people’s diet, and the strength of their bones. The more plant foods people eat, the stronger their bones, and the fewer fractures they experience. The more animal foods people eat on the other hand, the weaker their bones and the more fractures they experience. Dairy products are concentrated in saturated fat, environmental toxins & hormones that you don’t want to have in your body! Flour and refined grains are mucous forming, acidifying & extremely poor in nutrients, and can therefore not be classed as healthy food. In his book ‘Cancer proof your Body’ Ross Horne says: “Grains are acid forming, and heavy dependence on them may lead to arthritis and cancer. *Best choice- Eat organic ‘sour dough’ Rye breads. And view grains as famine foods, not staples to be sustained by! The advantage of eating food uncooked are many, and result in health benefits unobtainable from cooked foods. People are starving and they don’t even know it! During the SARS outbreak in Singapore in 2003, not everyone who had the disease died. Only those whose immune systems were weak succumbed to the disease and died. So many people resorted to vitamins and herbs to boost their immune system. But wouldn’t it be better to correct the problem than medicating, or even supplementing the problem? A diet of at least 85% of raw, living foods will keep the immune system functioning strong and healthy. When something is truly simple you know it’s the truth! HAPPINESS IS SIMPLE..no need to tell a toddler a joke to see her laugh. Right now the world is in serious need of healing! Food & serious lifestyle changes are the answer, but most people don’t believe that because it is too simple! I believe that’s God & nature. Simple. Health & wellbeing must be available & accessible to all! Whole, fresh and organic fruit and vegetables are the food created for human beings. Dr Doug Graham says they are our ‘species specific’ diet. You can take any mix of whole, fresh, organic fruit and veggies and you’ll get the right mix of nutrients for super health and energy. One fruit, has more fat, one leafy green has more protein or calcium, another more carbs. You just mix and match. This way you can see you’ll never be deficient in any way. People seem to judge Vegetarians and Raw vegans as eating a deficient, or a lesser diet! Are you kidding me? That Big Mac you just gobbled down wasn’t deficient?! Its a joke! Now, I guess it depends how one defines vegetarian & vegan. If one is eating a high raw plant diet, you couldn’t be deficient. But then there’s the vegetarian that eats loads of bread, pasta and even dairy products, that’s really not a vegetarian diet. 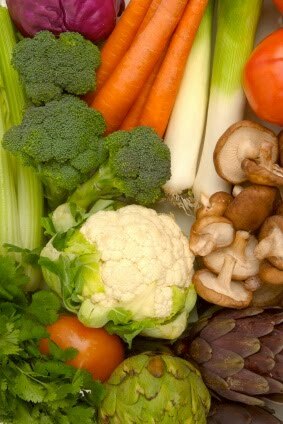 Even vegans may consume large amounts of cooked vegetables and grains. ...we must stop and take a close look at, is the raw food community. and without any of the common aging ailments! They’re proof that a raw food diet is the most superior and obvious way to obtaining optimal health and vitality. You can check these amazing raw fooders out! ..and a real legend "Marjorie Newlin”(below) 86yrs old –a raw fooder too of 16+yrs! !